Save-the-Date for our 1st annual fundraising event! More info to come. 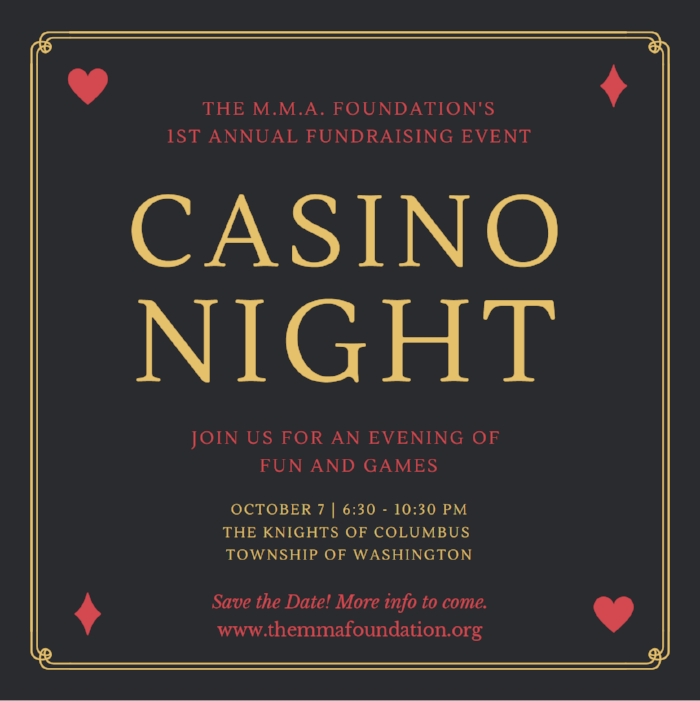 You are invited to CASINO NIGHT - our 1st annual fundraiser! Evening includes professionally staffed casino tables, raffle and tricky tray prizes, a silent auction, and more. Proceeds will benefit Youth Consultation Service (www.ycs.org), an organization providing residential and other supportive services for youth and families affected by trauma and disabilities.